Kildeer Garage Door Repair & Installation | Overhead Garage Door Inc. Spacious lots, custom homes, and picturesque surroundings make Kildeer a desirable community to call home. Its residents take pride in maintaining the atmosphere of safety and tranquility of their neighborhoods. A garage door in a state of disrepair can mar that atmosphere. 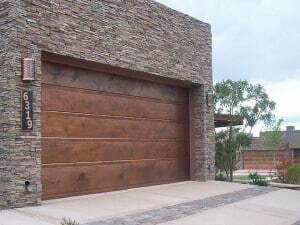 So when you need garage door repair in Kildeer, call the highly trained and dedicated professionals at Overhead Garage Door Inc.
As a certified dealer of Clopay Garage Doors, Overhead Garage Door Inc. can provide its customers in Kildeer with the highest quality products paired with first-rate service, all priced for an excellent value. Our mission is always to meet and exceed the expectations of all our customers, and we can help improve your home or business with the widest selection of customizable styles with Clopay. We promise that your garage door will be both beautiful and easy to use. Repairs can be fast and affordable when you leave it to our highly trained and courteous technicians. They can install any of our wide range of new openers or doors, and they completely dedicated to your total satisfaction. Does your garage door have a mechanical glitch? A dent or blemish from an accident? Major damage from unpredictable severe weather in Kildeer? You can trust Overhead Garage Door Inc. to restore your garage door to its original attractiveness and functionality. When you call us to make repairs, we will arrive promptly, assess the situation, lay out all the possible solutions, and provide you with a comprehensive estimate before getting started. We even have emergency technicians ready to take your call 24 hours a day. Product Lines: All Kildeer business owners and residents are invited to review our complete product line, listed below. We hope we can help you with all of your garage door needs. Let us provide what you need to fulfill your home improvement aspirations so that you can be as proud of your home in Kildeer as you are of the greater community. My Long Grove restaurant’s rolling overhead door was hit the night before and as a result was stuck shut. Accepting deliveries through the front wasn’t an option so I reached out to the guy who has always fixed the garage at home. Turns out they also has a substantial commercial division ( www.metrodooranddock.com ), and were there within the hour. I have to say, I have never seen a company do both, so well. They have the attentive and sensitive approach needed for residential success; and the meticulous scheduling, dispatch and product necessary for commercial work.